McHale Enterprises is seeking planning permission in principle for up to 60 homes on land adjacent to Motray Park alongside associated works including car parking, landscaping, drainage and formation of new access. Just under a third of the homes planned will be classed as affordable housing. The circa-1.9 hectares site is disused and overgrown open land with no current active use. 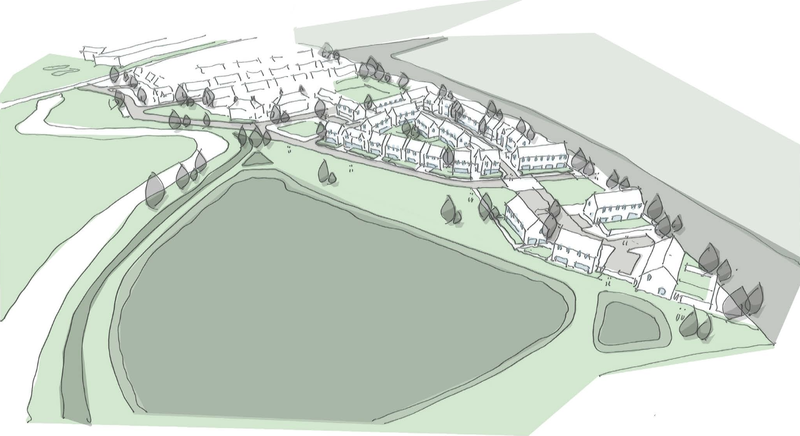 A statement from EMA Architects, prepared on behalf of McHale Enterprises, stated: “These proposals represent an excellent opportunity to develop this greenfield site which is allocated for housing in the Fife Local Development Plan. “This represents a deliverable vision for Motray Park, Guardbridge. “The design considers the site’s key assets: its location directly adjacent to the existing reservoir is recognised within the design to create a strong waterfront presence, and the potential for future green network opportunities offered by the creation of open space within the site.